BLUE TEA KITCHENS offer an award winning design service for your new kitchen or bathroom renovation. Your dedicated interior designer will stay with you from start to finish throughout your renovation. Each brief is treated with respect and care, and we provide custom solutions with cutting edge design. We work with the best tradespeople to ensure your kitchen is delivered on time and on budget. For the easy way to renovate contact our friendly team at Blue Tea. 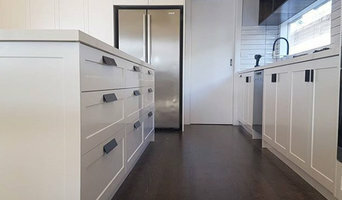 Our skilled Cabinet Makers can design and install cabinets for your Melbourne home to suit your needs and your budget. We’ll transform your home with stunning storage solutions that work for you. And you’ll love the professional design and finish on our work. Design & Innovation Direct from Italy. New Showroom Now Open. We have been building cost-effective kitchens around Melbourne since 1995. We have over 25 years worth of knowledge & expertise to help us renovate your kitchen on time and on budget. We always provide the best value for money and our customer service is the best you’ll find anywhere. We GUARANTEE that we’ll provide the best pricing for your new kitchen in Melbourne. Mrs Splashback is a curator, advisor and installer of glass splashbacks, shower screens and mirrors. We bring an eye for design, practicality and a generosity of superior customer service to your home. Complemented by stunning hardware and expert quality workmanship, Mrs Splashback’s glass solutions will take pride of place in your home. 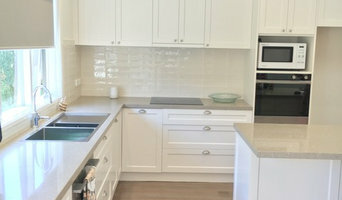 Kitchen Classic was established years back to offer our high quality services to the kitchen renovation and designing industry in Melbourne. We provide our worthy services for creating customised kitchen for our lovely customers at a price that everyone can easily afford. Now we have grown as the top and finely tuned kitchen renovation and manufacturing company of Melbourne. We are having numerous satisfactory results and satisfied clients who are still in touch with us. It’s our working style that serves as the voice of excellent services provided by our worthy team of professionals. If you are searching some for obtaining the best High quality kitchen cabinetry and custom kitchen design then you can never find someone better than us. We do the designing by creating minimal disruption to the lifestyle of our worthy clients. AOK Kitchens is a family owned and operating business, that specializes in manufacturing and installing exclusive and unique kitchens, bathrooms, laundries and storage solutions for domestic and commercial use. We have over 15 years of experience in the cabinet making industry and are located in the South Eastern suburbs. Are you looking for kitchen design experts who can make your kitchen look attractive? Then Sykora would be the perfect choice for you as we are one of Europe's fastest growing contemporary kitchen brands. We design and build kitchens featuring the ultimate combination of traditional artistry and modern precision. We are producing top quality Custom Kitchens utilizing the latest high-technology which allows you to build your dream kitchen. 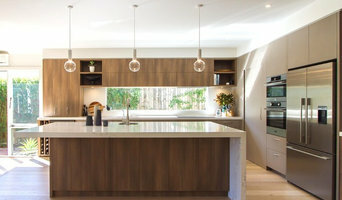 We have emerged as a leading Kitchen Designers in Melbourne. Our Contemporary Kitchen Designs and Modern Kitchen Designs are timeless; our outstanding quality endures. We make the Kitchen Design modular and look gracious. Our team of professionals acquire variety of Kitchen Design Ideas and they make sure to carry out a strict quality check so as to ensure the performance of the product. With a Sykora design, you can feel secure about every surface, joint and piece of hardware. We make sure our designers only use the most up-to-date technology available from the best suppliers in the European market. Being amongst the leading Kitchen Design Showrooms in Melbourne, we produce our kitchen designs as per the latest market trends, utilizing quality materials and best price in accordance with more storage, cooking needs, space saving and within customer's budget. Complete Product Management is also a unique service that Sykora Kitchens is able to offer to the clients, ensuring your home renovation is fully taken care of. Thus, design your kitchen with the help of our state of the art kitchen planner. Visit our showroom today and discuss your goals with one of our kitchen experts or feel free to call us on 03 9077 5353! Matcha Maiden brings premium quality, organic matcha powder to you at affordable prices and with the easiest of accessibility, just click to order! Sedra Kitchens has been designing, manufacturing and installing high specification kitchens and fitted furniture since 1995. Using traditional kitchen joinery methods and cabinetmakers skills, we can craft all you could ever want, from a single freestanding piece right through to custom furniture for all rooms and even complete home interior commissions. Our reputation has not been built on our cabinetmaking and design skills alone, we would also like to think that our customer service, project management, installation teams and artisan hand painters have been part of this and are second to none. 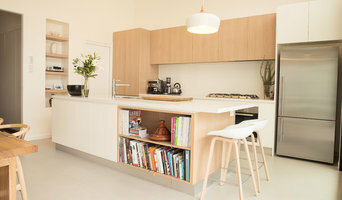 We are based in Campbellfield Melbourne and design, manufacture, supply and install our hand-built kitchens, shelving and furniture throughout the whole of Victoria and have even installed kitchens and furniture interstate. Our design excellence, coupled with our green credentials (all our woods come from sustainable resources), ensure that our products stand out above others. We source the best materials and top of the range domestic appliances that exude quality, taste and style to ensure that our work in your home will stand the test of time. Our team of skilled, experienced craftsmen will ensure that installation is stress-free and that every detail is attended to professionally and efficiently. To see photos that highlight the overall quality of our work and our attention to detail please take a look at the galleries pages on this website. Contact us now to arrange a FREE no obligation estimate. Kitchen and Joinery Designer for residential projects and commercial. Servicing domestic clients as well as professionals in the industry. 19 Years experience within the kitchen and joinery industry. Specializing in Modern, Contemporary and French Provincial Kitchens and all types of joinery requirements. With complete knownlegde and understanding of cabinet construction with manufacturing/construction ready drawings/ plans and 3D's.